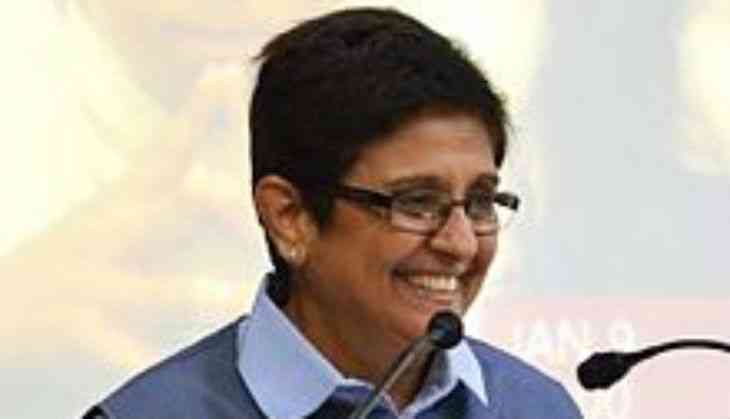 Putting aside their differences, Puducherry Lt Governor Kiran Bedi and Chief Minister V Narayanasamy joined a large number of devotees in dragging the chariot of an ancient temple, as part of its annual car festival, near here today. The Moolanathar temple in Bahoor village dates back to 10th century and is protected by Archaeological survey of India (ASI). Earlier, the former IPS officer and Chief Minister were received with temple honours at the temple. The both offered worship to the presiding deity of the temple. This is Bedi's third visit to the temple.